Case studies are invaluable when it comes to establishing proof that what you’re offering is valuable and suitable for potential customers. This case study was developed to demonstrate Luxul’s managed switches in use with Just Add Power’s IP video distribution system. 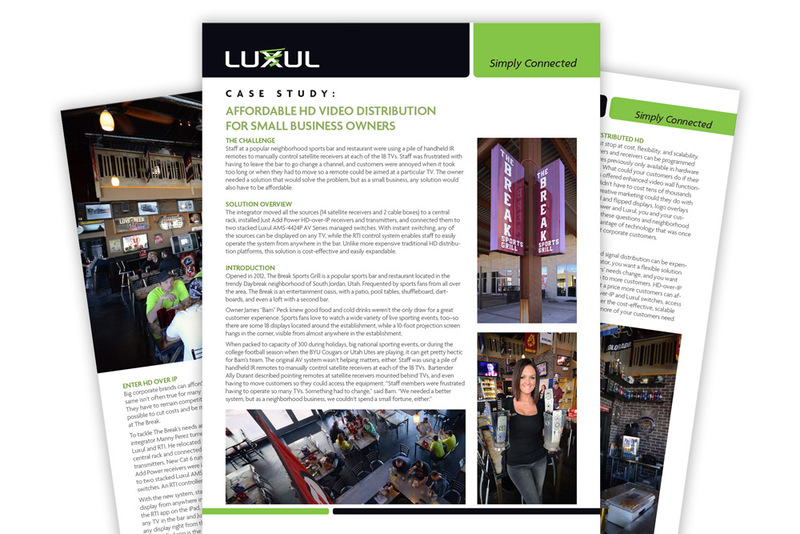 Feel free to browse the actual Luxul case study in PDF. © 2019 Electric Crabb Marketing & Design All Rights Reserved.